Bunga bugang. This fantastic beautyful white flower has been believed to cure many desease for a long time. 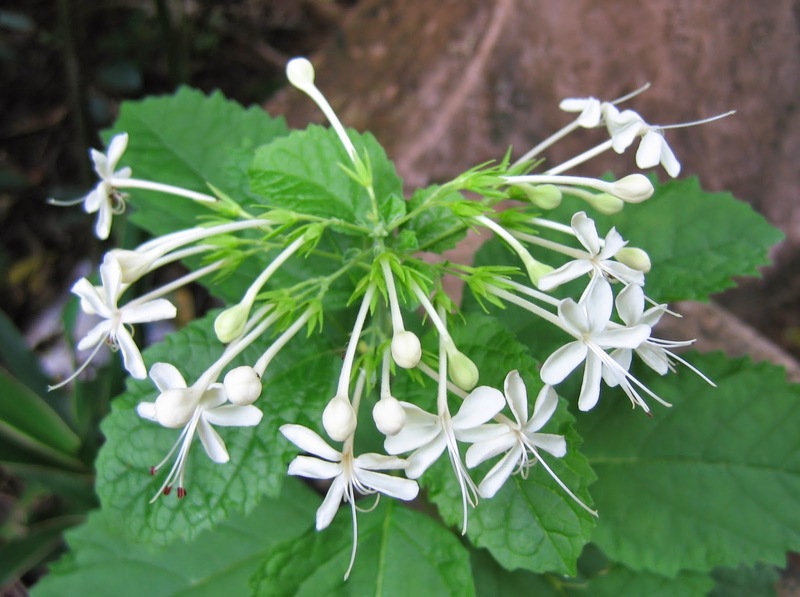 The latin name for this flower is Clerodendrum calamitosum L.
Pharmacological Effects: This herb has properties: stop the bleeding, kidney stone crushers. Chemical properties: This herb is rich chemical constituents, which have been known to include saponins, flavonoids, polyphenols, alkaloids and potassium. Plant part used: Leaves and roots. Cultivation: Propagation of plants by using a seed or stem cuttings. Maintenance is easy, it needs enough water with watering way elbow, keeping moisture and fertilization, especially basal fertilizer. 10 g of fresh leaves in the last wash with 1 cup of boiled water for 15 minutes. After chilling filtered, drink once. Thumb-sized piece of root in the wash and rinse with lukewarm water, then chew, swallow its water, the waste is in place on the bite wound. Leaves 8 sheets are washed and cut into pieces you need, boiled in 3 cups water until the remaining 2 1/4 cups. After chilling filtered, drink with honey as necessary. 3 times a day 3/4 cup.